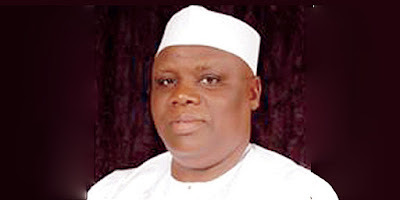 Ahead of the inauguration of the new President of the Pharmaceutical Society of Nigeria (PSN), Ahmed Yakasai, come February 18, pharmacists have warned against impending risk of drug insecurity, occasioned by absolute drought of raw materials that is active pharmaceutical ingredients in the face of scarce foreign exchange (FOREX) in the country. The pharmacists gave the warning on Wednesday, under the aegis of the Pharmaceutical Society of Nigeria (PSN) and Pharmaceutical Manufacturers Group of the Manufacturers Association of Nigeria (PMG-MAN), on Wednesday, insisting that if the scarcity of foreign exchange for importation of critical raw materials persists, the country may soon be plunged into drugs circulation crisis, a situation that could be dangerous to the health of the citizens. According to the new PSN boss, the looming catastrophe can only be prevented if the Federal Government should make available foreign exchange to bonafide pharmacists to procure critical raw materials, and provide intervention fund for the pharmaceutical sector. The duo of top executives of pharmacy association, Yakasai, and Okey Akpa, who is the Chairman, President inauguration and Fellows investiture Committee, lamented that despite government policy that targeted 70 per cent utilization of local capacity in drug production, Nigeria is currently utilizing only about 35 per cent of its local production capacity. “At this time, the only thing is to alert the nation on an impending risk and threat to drug security in the country. This is going to happen if the current level of scarcity of FOREX persists. There is going to be absolute drought of raw materials. This time around, we are talking about critical raw materials, what we classify as active pharmaceutical ingredients. Nearly every manufacturer is using about the last set of raw materials they have got and what we see and foresee that is going to happen is scarcity of medicines, essential medicines and when they are available, the cost will go up,” he added. On his part, Yakasai restated that to begin of the reduction of the nation’s disease burden by over 50 per cent from 2016, the gospel of good hygiene and other public health issues must be spread by health professionals in their practice facilities at community levels, while Environmental Health Officers must begin enforcement of health statutes. The new PSN President lamented that the fundamental problem with the nation’s health system is the unfortunate emphasis on curative rather than preventive health care, adding that the norm in civilised climes is to nurture and build a virile as well as viable primary health care model which embraces the utilisation of the skills, expertise and hands-on experience of all health care professionals and workers. On the inauguration, he said that the august ceremony is scheduled for 7pm at Transcorp Hilton Abuja, with the Speaker of the House of Representatives, Yakubu Dogara, as the guest of honour and the Minister of Health, Prof. Isaac Adewole, as the special guest. According to him, the association will be inaugurating him as the new president, as well as conducting the investiture of 70 members, comprising of 20 females and 50 males. This story was published in Newswatch Times on February 13, 2016.